SAGETECH MACHINERY LIMITED are an authorised dealer for FESTOOL. The agreement allows us to supply all of the machinery, accessories and consumables that are offered from FESTOOL. We will be showing some of the FESTOOL range in our showroom in County Durham, along with continuing to partner our VERTICAL PANEL SYSTEMS with the FESTOOL saws and extraction systems that we have been doing for many year’s. FESTOOL specialise in the fields of timber construction, carpentry, painting and renovation work as well as paintwork preparation and finishing. They promise perfection. No more and no less. Aim is to guarantee the same quality at all production locations, according to the “Made in Germany” standard. 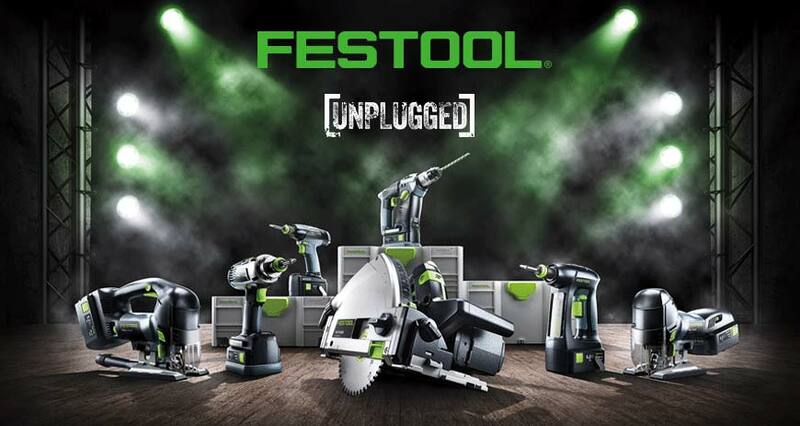 FESTOOL’S passion for high-quality power tools has continued for more than 90 years. We share this fascination with our users and fans. Our products make life easier for professional tradespeople – and help them to achieve perfect results faster. We always think systematically, right down to the finest detail. Over 350 patents, 80 awards, for both the products and company. And, above all our satisfied customers are testament to our innovative success.